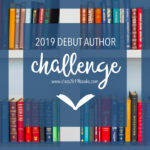 ★★★ 3.5 stars – this book wasn’t for me but might be for you! 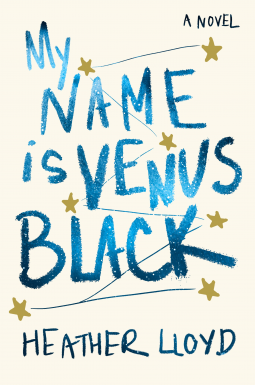 My Name Is Venus Black is a beautifully written novel that follows the lives of two families in the aftermath of Venus’ crime that set multiple things in motion and altered the courses of many lives. Initially the story is told from two point-of-views, Venus and Leo, but as the tale progresses more perspectives are included in the mix to give a well-rounded and full picture of what is happening and the impact. If I had rated this book early on it would have been closer to 5 stars, but I was most engaged for the for 60%. Sadly my interest waned a bit the longer the circumstances of the crime were avoided, and that is the reason for my 3.5 star rating. The increasing number of POVs that were introduced as the book carried on, without much notice or indication that it is happening. Some readers will undoubtedly love seeing the story unfold from all of these important people’s perspectives, but for me it was jarring and confusing. Not knowing what the crime was until 15% in, and it was essentially in passing and not fully explained until 70% in. The time jump six years in the future. It felt anticlimactic to me and left so many questions on what happened, how the trial went, etc. I would have been interested in a smaller leap in time to showcase what transpired for her during those years but there IS a lot to be said for the way Lloyd weaves the tale: dropping hints, teasing the reader towards the answers but it is a slow journey of realization that I think a lot of readers would enjoy. Thank you Netgalley and the publisher, Random House, for the advanced reader copy in exchange for my honest review. My Name is Venus Black will be available on February 27, 2018. You can find information about my rating criteria here.